The single search result disappeared the moment the page finished loading. 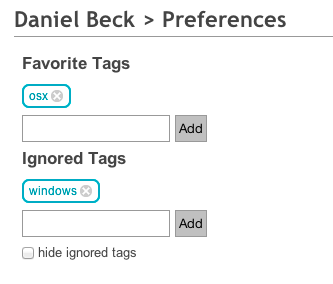 While it's possible to hide ignored tags (presuming this is a feature), I didn't check that box. When checking the box, the questions tagged windows appear again. It's either a bug against the checkbox (functionality seems reversed) or its label (not checking "hide" should, well, not hide questions). 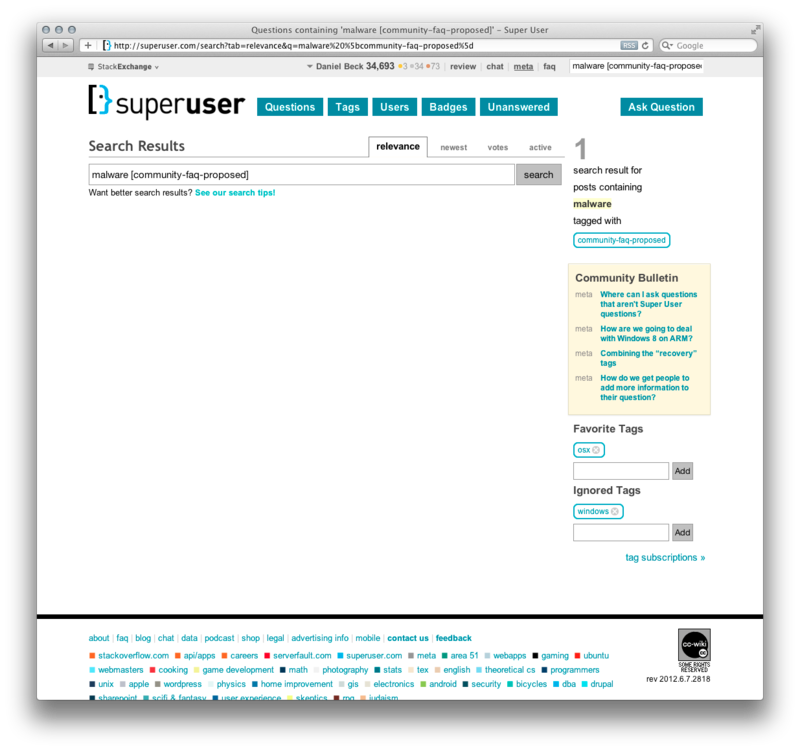 Browse other questions tagged bug questions search blacklist list . Is there any way to see all the questions that are tagged with my favorite tags? How do we keep dead tags dead? How Boolean operators fit with tags?